As the rain came pelting down from a gloomy 5 o’clock sky I was wondering how many Capetonians would brave the cold for Night of 1000 Drawings. The challenge to find parking answered my question. Huge enthusiasm for the event had been fired up by the series of social doodling sessions held in a massive variety of venues, from cafes to museums, in the preceding months. “Draw anything, with anything, on anything A5” were the only instructions. The resulting 8000 artworks were last night put on sale at R100 each (the entrance fee), with the proceeds for the inaugural Cape Town event going towards upgrades at the Thomas Wildschutt Primary School in Retreat. The Good Hope Centre, while not the prettiest of venues that Cape Town has to offer, was nonetheless a welcome escape from the cold and wet, and the enthusiasm of the crowds was contagious. The atmosphere inside was almost one of a secret – almost sacred – underground society. The hall was lit only dimly, the red paint of its interior creating an interesting but warm feel, touched with magic by fairy lights and a spotlight here and there. Everyone’s focus was on the thousands of A5 drawings pegged onto string, around which milled the crowd of mostly 20 and 30somethings, exclaiming and pointing as their eyes were caught by yet another piece. The artworks ranged from basic children’s drawings to intricate portraits, via beautiful doodles, professionally drawn cartoons, impressive graffiti-style paintings and tattoo-type sketches, even some lovely photographs and colourful prints. The possibility of panic buying was assuaged by the sensible ruling that it was ‘looking only’ from 5pm until 7pm, and thereafter people could select their choice to take home by placing their sticker on the chosen piece. Now there’s no way that you can see 8000 artworks in just two hours, and in a way that’s a relief: There was something on offer for everyone – just pick one. I put my sticker onto a beautiful sketch of an orca, of which I am now the proud owner. Also on offer was a tshirt printing corner, a wall for graffiti, a stall of frames for those newly acquired pieces of art, and a “street corner” of caravans and food trucks which created a distinct street festival feeling, in spite of it being an indoor event. And in the middle of the hustle and bustle there was a stage with a band playing live music to entertain the crowds. Night of 1000 Drawings was less like an art exhibition and more like a cheerful, colourful festival; the crowd was young, hippie and arty; the food was delicious; everyone was warm, friendly and mellow – and all this for a good cause. 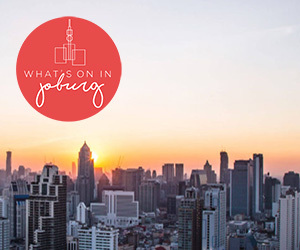 It is not surprising that this simple but delightful concept, which started in Joburg a few years ago, has since expanded to cities all around the world. We look forward to the next Cape Town event. Night of 1000 Drawings took place at the Good Hope Centre, Cape Town on 28 August 2014.
Review: Missed John Newman? You Missed Out.